Jack Sparrow, where are you? Johnny Depp is noticeably missing from the new trailer for Pirates of the Caribbean: Dead Men Tell No Tales. The extended preview — which made its debut during the Sunday, October 2, episode of Fear the Walking Dead — does not feature the 53-year-old actor, but proves that things are looking grim for his now-iconic pirate character. The only glimpse we get of Depp in the sneak peek for the fifth installment of Disney’s blockbuster hit franchise — which premiered in 2003 and made the Hollywood vet a global megastar — is his face plastered on a wanted poster. This is Depp’s first major film role since this past spring’s Alice Through the Looking Glass, the sequel to 2010’s Alice in Wonderland, in which he played the Mad Hatter. The movie was a commercial flop and was released on May 10, just days before news broke of his messy split from estranged wife Amber Heard. After an intense, months-long legal battle, the pair finally settled their divorce on August 16. The actress, 30, withdrew her request for a domestic-violence restraining order, and Depp reportedly agreed to pay his ex approximately $7 million, according to TMZ. Watch the video above. 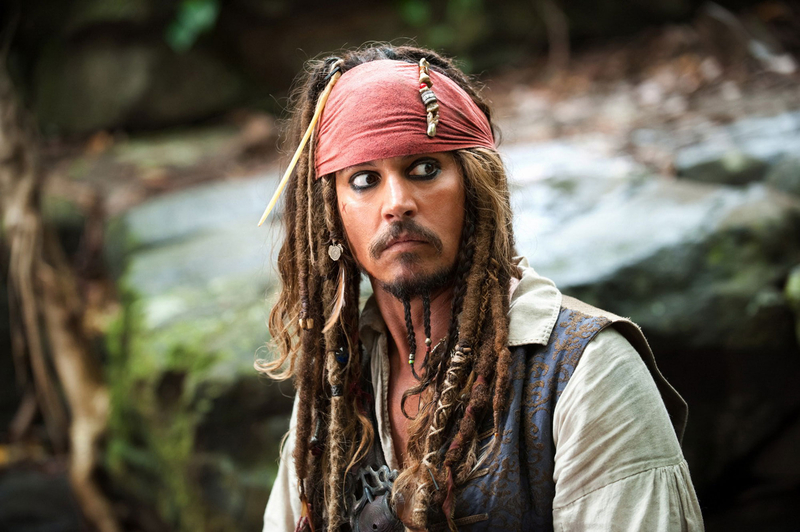 Pirates of the Caribbean: Dead Men Tell No Tales is set to hit theaters May 26, 2017.